Many veterans find the problem-solving skills and discipline they learned in the military are invaluable to entrepreneurial jobs. In fact, plenty of today’s recent military retirees are starting their own small businesses. Veterans who have served in recent military conflicts may find more satisfaction in being the boss as they transition into civilian life. 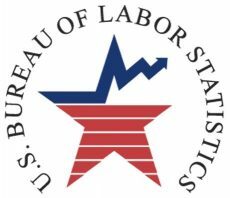 The Small Business Administration is a fantastic resource for any entrepreneur, and it may be particularly helpful for veterans. The SBA’s Office of Veterans Business Development offers support and assistance specifically for veterans who are interested in starting or growing a small business. 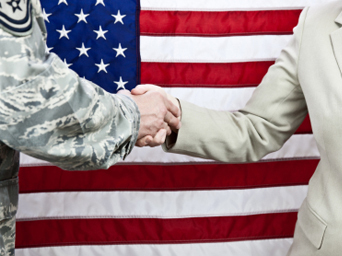 The SBA grants at least $1 billion in loans to veteran-owned businesses each year. The Veterans Business Outreach Program, run by the SBA, offers business training, mentoring, and counseling to eligible veterans who are considering starting a small business or who have already begun running one. Created by Syracuse University, the Entrepreneurship Bootcamp for Veterans with Disabilities offers programs through eight institutions, including Louisiana State University, University of Connecticut, Cornell University, and Purdue University. This two-week program offers intensive entrepreneurial training for post-9/11 veterans who have been disabled in action. The bootcamp will give you the tools and knowledge you need to own your own business, including creating a business plan, dealing with cash flow, and finding funding. Franchisees can avoid some of the risks associated with establishing a startup since they will be running a business under an established name. VetFran.com is an excellent resource for veterans interested in purchasing a franchise for their small business. The organization helps you find the franchise that’s right for you, create a business plan, and find financing. One of the great parts about VetFran is that some franchise operations work with the organization to offer discounts on franchise startup costs specifically for veterans, which can make starting a franchise business much more affordable. The U.S. Department of Veterans Affairs also helps with finding financing and training for small businesses run by veterans. The Center for Veterans Enterprise program offers all the information you need on starting a business. Because there are lots of programs out there that offer good deals on small business loans for veterans, this is definitely a resource you’ll want to check out. When you’re starting your business, it can be easy to focus on finding funding so much that you don’t pay enough attention to your business’s actual cash flow. But as soon as money starts coming in, you should be leveraging your cash flow to build your business without going into more debt than is necessary. As you’re starting your business, look at ways to track and plan cash flow and constantly take care of deliverables and receivables so that your business will prosper. Starting a small business as you’re coming out of the military, especially if you’re dealing with a disability or post-traumatic stress disorder (PTSD), can seem daunting. But there are plenty of resources– financial and otherwise – for veterans who are looking to start a small business.